Media captionWhat are fixed-odds betting terminals? 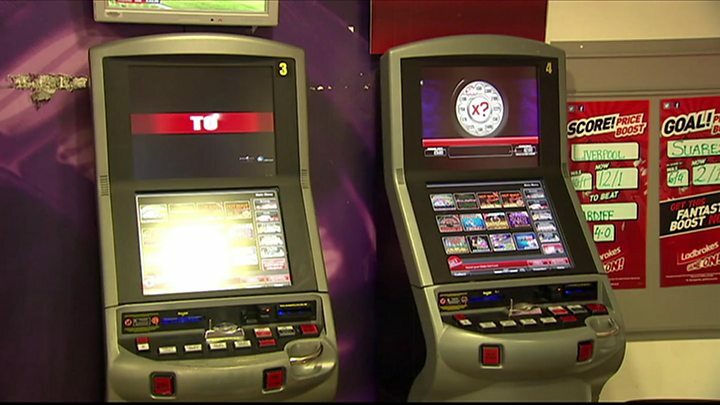 A cap on how much gamblers can stake on betting machines could see 1,000 jobs go in Wales, an organisation representing bookmakers has claimed. From April, the maximum stake on the fixed-odds betting terminals (FOBTs) will be cut from from £100 to £2. The Association of British Bookmakers (ABB) said this would mean "up to half of all betting shops in Wales closing". Dai Lloyd, chairman of the Welsh Assembly's health committee, said the FOBTs "destroyed lives". "It literally does destroy lives in terms of all that worry and concern about huge debts mounting and mounting," Mr Lloyd added. Reality Check: How much of a problem is problem gambling? Shaun Payne, owner of SP Racing bookmakers in Llandrindod Wells, Powys, told BBC Radio Wales he could be forced to close and said the change would not tackle gambling addiction. "There's nothing stopping me going into a shop and spending £100 on scratch cards and then going back and buying another £100 of scratch cards," he said. Mr Payne claimed online gambling and late-night roulette games on television were more dangerous. "I thought that's what the Gambling Commission was trying to stop, but that doesn't seem to be the case," he added. "Customers tell me that by the time they have got in their car, they could have changed their mind, whereas online it is quick." Councils could soon be given more power over where bookies can open, to stop clusters appearing in poorer areas. A consultation has been held by the Welsh Government over changes to planning rules which would mean former banks or building societies would need planning permission to become bookmakers. At present, they do not as they are classed in the same category - financial and professional services. 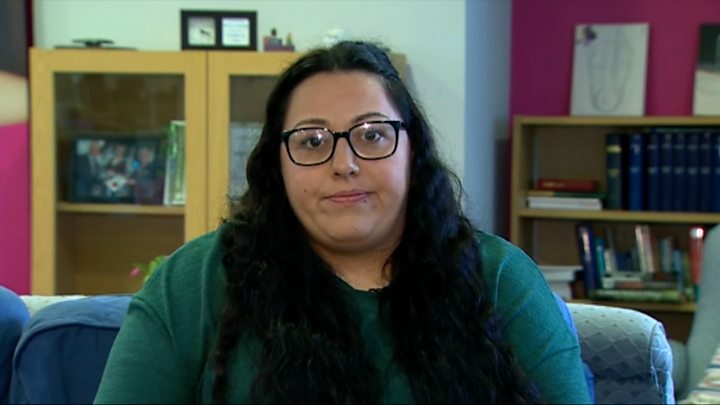 Sarah Grant from Cardiff spent years addicted to gambling. She bet online and in shops and won and lost thousands of pounds in single days. She became homeless and spent days on end in betting shops because they would give her free tea, coffee and toast while she was gambling. "It's like you live life on a high and low all the time, there's no in-between," she said. "So you're either completely high because you're gambling, you're really quick and all your thoughts are going fast and you're thinking about what you're going to win and do, where your next bet is going. "And then, all of a sudden, you lose and you realise you've run out of money and you're just down on the floor, like, suicidal, sometimes at that point because you just panic and think 'what am I going to do now?'" According to the Gambling Commission, 25,000 people self-reported as having a problem with gambling in Wales in 2016 - with a further 100,000 estimated to be at risk. There are almost 390 betting shops in Wales, employing nearly 2,100 people. An ABB spokesman said: "We hope that the Welsh Government will work with us to help mitigate the impact on jobs following this change in legislation." In 2017, betting shops made £3.2bn from FOBTs and over-the-counter bets, with the machines accounting for 57% of the total - up from 38% in 2008-09. Prof Robert Rogers, from Bangor University's public health collaborating unit, said: "The evidence suggests that, overall, there are more betting shops in areas of high deprivation. "This is a concern because we also know that harm tends to be higher in these areas than in less deprived areas." Problem gambling: Is it rising and how much is it costing?